Africa Animals Birds Congo (Brazzaville) Fauna Bird stamps from Congo. 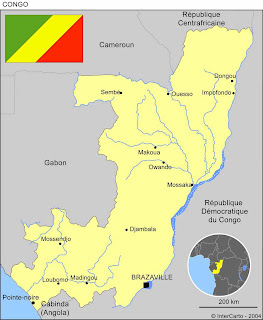 The Republic of the Congo, also referred to as Congo-Brazzaville, is a country located in Central Africa. It is bordered by Gabon, Cameroon, the Central African Republic, the Democratic Republic of the Congo and the Angolan exclave of Cabinda. The region was dominated by Bantu-speaking tribes, who built trade links leading into the Congo River basin. Congo-Brazzaville was formerly part of the French colony of Equatorial Africa. Upon independence in 1960, the former colony of French Congo became the Republic of the Congo. The People's Republic of the Congo was a Marxist-Leninist single-party state from 1970 to 1991. Multiparty elections have been held since 1992, although a democratically elected government was ousted in the 1997 Republic of the Congo Civil War. The earliest inhabitants of the region were Pygmy people, who later were largely displaced and absorbed by Bantu-speaking peoples who found tribes during the Bantu expansions. The Bakongo are a Bantu ethnicity that also occupied parts of present-day Angola, Gabon and Democratic Republic of the Congo, forming the basis for ethnic affinities and rivalries among those countries. Several Bantu kingdoms—notably those of the Kongo, the Loango, and the Teke—built trade links leading into the Congo River basin. The mouth of the Congo was reached by the Portuguese explorer Diogo Cão in 1484. Commercial relationships were quickly established between the inland Bantu kingdoms and European merchants who traded various commodities, manufactured goods, and slaves captured from the hinterlands. For centuries, the Congo river delta was a major commercial hub for transatlantic trade. However, when direct European colonization of the African continent began in the late 19th century, the power of the Bantu societies in the region was eroded. The area north of the Congo River came under French sovereignty in 1880 as a result of Pierre de Brazza's treaty with Makoko of the Bateke. This Congo Colony became known first as French Congo, then as Middle Congo in 1903. In 1908, France organized French Equatorial Africa (AEF), comprising Middle Congo, Gabon, Chad, and Oubangui-Chari (the modern Central African Republic). 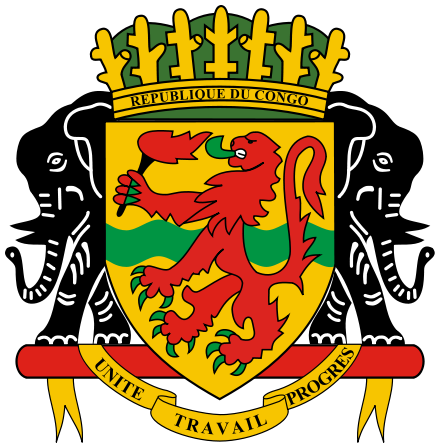 Brazzaville was selected as the federal capital. Economic development during the first 50 years of colonial rule in Congo centered on natural resource extraction. The methods were often brutal: establishment of the Congo–Ocean Railroad following World War I has been estimated to have cost at least 14,000 lives. During the Nazi occupation of France during World War II, Brazzaville functioned as the symbolic capital of Free France between 1940 and 1943. The Conference of 1944 heralded a period of major reform in French colonial policy. Congo benefited from the postwar expansion of colonial administrative and infrastructure spending as a result of its central geographic location within AEF and the federal capital at Brazzaville. It also received a local legislature after the adoption of the 1946 constitution that established the Fourth Republic. Following the revision of the French constitution that established the Fifth Republic in 1958, the AEF was dissolved and its constituent parts reformed into autonomous colonies within the French Community. During these reforms, Middle Congo became known as the Republic of the Congo in 1958 and published its first constitution in 1959. Antagonism between the pro-Opangault Mbochis and the pro-Youlou Balalis resulted in a series of riots in Brazzaville in February 1959, which had to be subdued by the French Army. 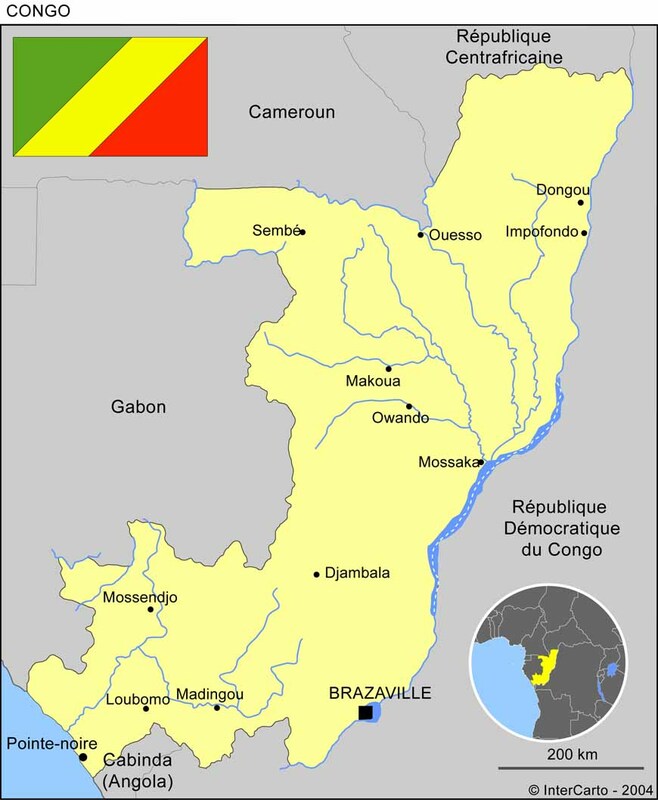 The Republic of the Congo was granted full independence from France on August 15, 1960. Fulbert Youlou ruled as the country's first president until labour elements and rival political parties instigated a three-day uprising that ousted him. The Congolese military took charge of the country briefly and installed a civilian provisional government headed by Alphonse Massamba-Débat. Under the 1963 constitution, Massamba-Débat was elected President for a five-year term. The regime adopted "scientific socialism" as the country's constitutional ideology. In 1965, Congo established relations with the Soviet Union, the People's Republic of China, North Korea and North Vietnam. Massamba-Débat was unable to reconcile various institutional and ideological factions and his regime ended abruptly with an August 1968 coup d'état. Marien Ngouabi, who had participated in the coup, assumed the presidency on December 31, 1968. One year later, President Ngouabi proclaimed Congo to be Africa's first "people's republic" and announced the decision of the National Revolutionary Movement to change its name to the Congolese Labour Party (PCT). On March 16, 1977, President Ngouabi was assassinated. An 11-member Military Committee of the Party (CMP) was named to head an interim government with Joachim Yhombi-Opango to serve as President of the Republic. Two years later, Yhombi-Opango was forced from power and Denis Sassou Nguesso become the new president. Sassou Nguesso aligned the country with the Eastern Bloc and signed a twenty-year friendship pact with the Soviet Union. Over the years, Sassou had to rely more on political repression and less on patronage to maintain his dictatorship. Pascal Lissouba, who became Congo's first elected president during the period of multi-party democracy, attempted to implement economic reforms with IMF backing to liberalise the economy. In June 1996 the IMF approved a three-year SDR69.5m (US$100m) enhanced structural adjustment facility (ESAF) and was on the verge of announcing a renewed annual agreement when civil war broke out in Congo in mid-1997. Congo's democratic progress was derailed in 1997 when Lissouba and Sassou started to fight over power. As presidential elections scheduled for July 1997 approached, tensions between the Lissouba and Sassou camps mounted. On June 5, President Lissouba's government forces surrounded Sassou's compound in Brazzaville and Sassou ordered members of his private militia (known as "Cobras") to resist. Thus began a four-month conflict that destroyed or damaged much of Brazzaville and caused tens of thousands of civilian deaths. In early October, the Angolan socialist regime began an invasion of Congo to install Sassou to power. In mid-October, the Lissouba government fell. Soon thereafter, Sassou declared himself President. Bird stamps from Comoro Islands. Bird stamps from Cook Islands.